Ever since Samsung Galaxy S7 and its brother Galaxy S7 Edge were officially released earlier this month, attention has been shifting towards other Samsung-made smartphones coming to the market. The company did not release a Samsung Galaxy S6 Mini last year, but there are rumors of a Samsung Galaxy S7 Mini surfacing. These rumors are even made stronger by the fact that Apple recently released a mini version of the iPhone 6S and called it the iPhone SE and of course, we all know what Apple and Samsung share in the smartphone world – rivalry. Samsung has also been busy in the other end of the market, coming in with a series of Galaxy A and Galaxy J smartphones that basically target the lower and mid-range markets. 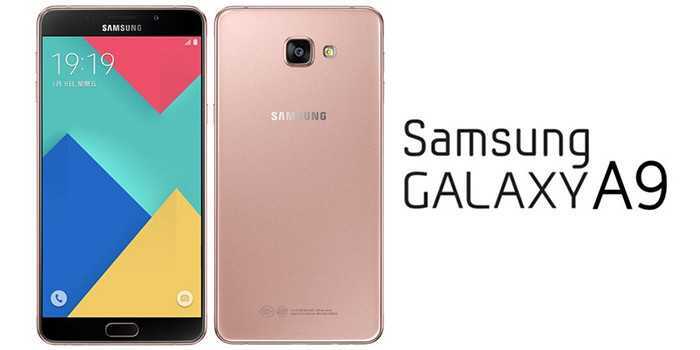 One device that has been causing havoc in the market since its launch is Samsung Galaxy A9 (2016) version. This device has been labeled by many as a premium mid-ranger thanks to its superb body build and under-the-hood hardware. The phone is a phablet size featuring a 6-inch Full HD Super AMOLED screen with a resolution of 1920 by 1080 pixels and a pixel density of 367ppi. Under the hood, the Galaxy A9 (2016) packs a Qualcomm Snapdragon 652 processor that has 8 cores as well as an Adreno 510 GPU. The phone is supported by a RAM of 3GB and has 16GB of onboard storage, which can also be expanded via a microSD card. Moving on, this year’s Samsung Galaxy A9 packs a 4000mAh battery unit that can be charged using Qualcomm’s Quick Charge 3.0. The camera is even better with a 13MP sensor on the rear. This shooter has f/1.9 aperture and OIS on board, which should really do great. The front camera has 8MP with the same aperture. This phone currently costs about $487. These are definitely great features for a phone that is considered a mid-ranger. 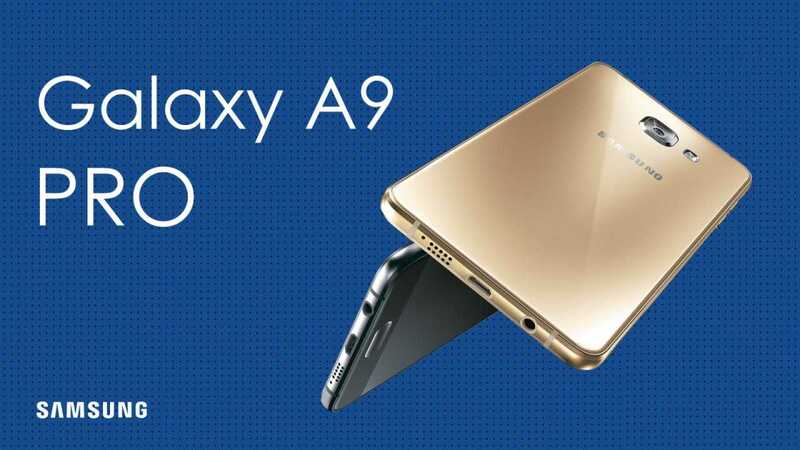 Now, it seems there is an even better and bigger variant of this model coming very soon and its dubbed Samsung Galaxy A9 Pro. At the moment, Samsung Galaxy A9 Pro has been unveiled to the Chinese market. As the name suggests, Samsung Galaxy A9 Pro is a superior version of the Galaxy A9. If you thought the latter is better equipped, you may want to look at what the former packs under the hood. In terms of display, the newly-announced Samsung Galaxy A9 Pro comes with no changes as compared to the standard version. A Full HD display of 6 inches in size and a resolution of 1080p is what you get with the Pro version. There are, however, some slight changes under the hood. Although the latest Pro version comes with the same octa-core Snapdragon 652 processor, it has a better RAM of 4GB, which is basically this year’s smartphone flagship RAM. Unlike the standard version, the Pro version has 32GB of expandable storage and a 16MP sensor on the rear. Other things such as Dual SIM support, fingerprint sensor as well as the 8MP sensor on the front camera remain unchanged. To make matters sweeter, Samsung Galaxy A9 Pro packs a massive battery unit of 5000mAh. Samsung Galaxy A9 Pro is powered by the latest Android 6.0.1 Marshmallow, which is contrary to its counterpart, which still runs on the previous Android 5.1.1 Lollipop. However, there is a planned Marshmallow update later this year. In China, the Galaxy A9 Pro is priced at about $540, which should be the pricing when the phone is availed in other markets. As for now, there is no date of when the device will come to the U.S., but it should be very soon.